This Barbed Wire Split Scar costume accessory will have you looking repusively good at your next Halloween fancy dress party. The throat wound accessory comprises of a latex flesh coloured scar with gory red detailing to give the effect that you got caught up in a spot of trouble with some barbed wire before coming to the Halloween party celebrations. 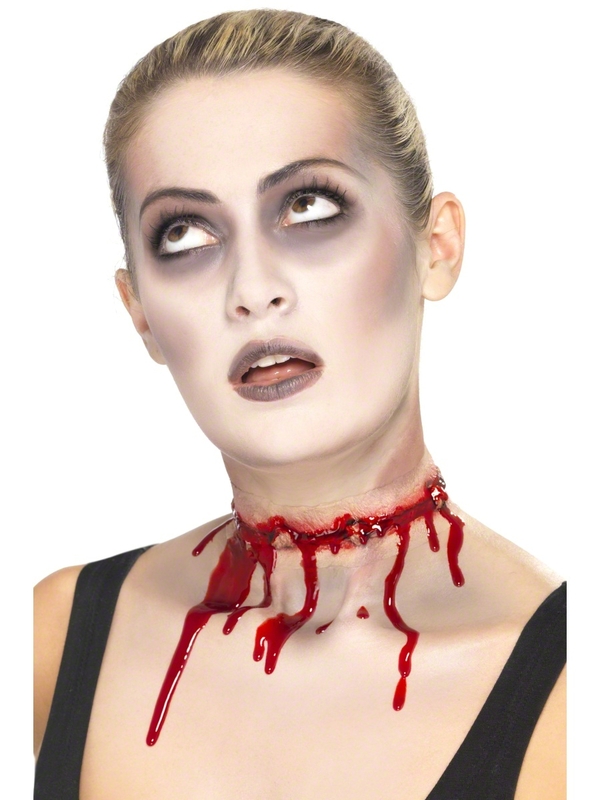 Complete this gross neck wound with some fake blood and spirit adhesive to make you look frighteningly good all night long. Perfect for adding to any Halloween costume.